A Greek Sailor. Ottoman Empire ethnic groups. Home » A Greek Sailor. Ottoman Empire ethnic groups. IT has before been observed, that the Turkish navy, although rather numerous, is not very formidable. The Turks themselves are averse to the sea, and many of their best sailors are Greeks; but even these are in general ignorant of the science of navigation, although they possess much practical skill in seas they arc acquainted with. The thirty-first Odah (regiment, chamber) of the Janissaries, whose symbol is an anchor, is employed in the sea service; but these form only a very small part of the marine, and are chiefly employed in fighting. 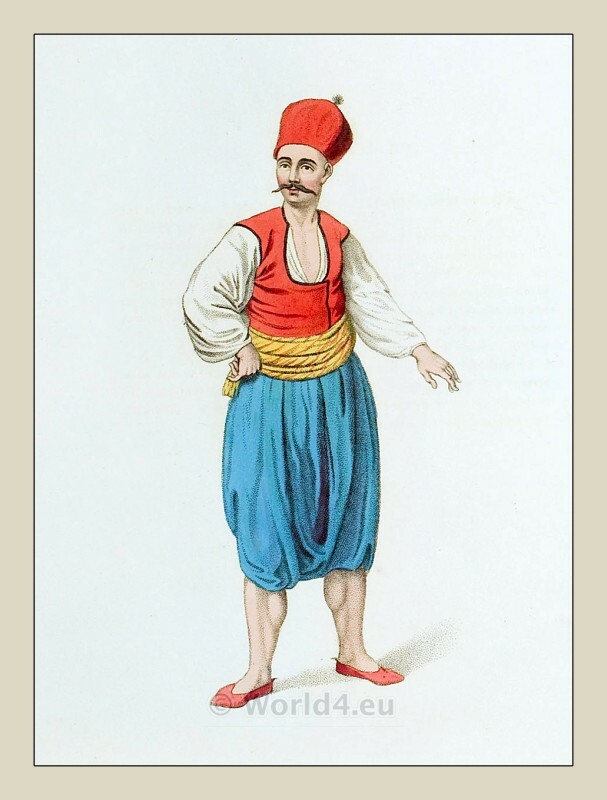 When the service of the state requires it, the Sultan orders a levy to be made from all the Greek islands, which are required to furnish a certain number of sailors. These, however, are used only for the purpose of manœvring the ships; the Mussulman, who are on board, are employed either in attack or devence.